Jose Quinterro has been working at the Sacramento branch of Terracare Associates since 2004. He followed in the footsteps of his brother Francisco, who is now an account manager for the City of Brentwood. Jose has worked his way through the ranks at TCA. He started as a maintenance worker before receiving his irrigation license and moving on to tech work, which he has continued to do for the past six years. Jose takes pride in what he does and works very well with his fellow employees and management. “When Jose is asked to do extra work on top of his already busy schedule, he gets it done with no complaints. His customers value his hard work because their job sites are always well-maintained and properly irrigated,” said Steve Thinger, Account Manager at the Sacramento branch. Jose is happy when he sees healthy sod, beautiful color beds and green shrubs. He loves learning as much as possible about the industry and is always looking for a way to improve and learn new skills. 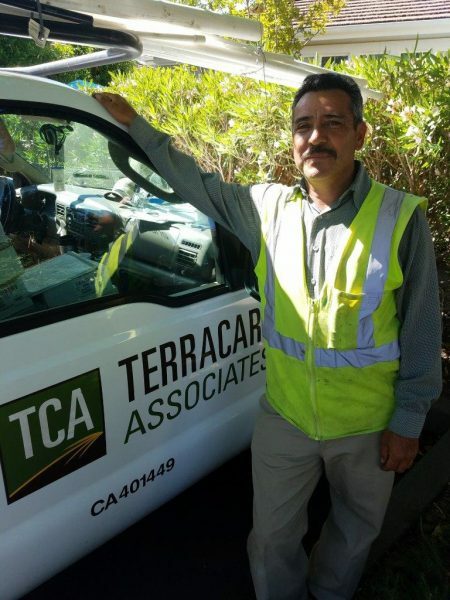 Jose is a valuable asset to TCA and we are grateful for his hard work keeping things green in the Sacramento area.